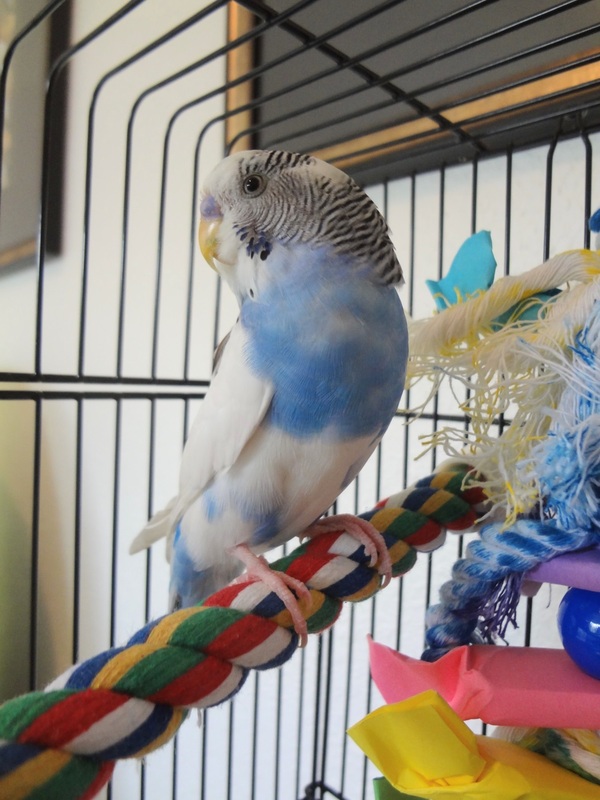 Posted on August 19, 2018 by Michelle M.
Seven years ago, today, we brought home a little blue bundle of feathers. The Booper has filled each one of those days with joy. We love you Cooper! Posted on November 28, 2016 by Michelle M.
Has it been 5 years already? Time is certainly flying by. 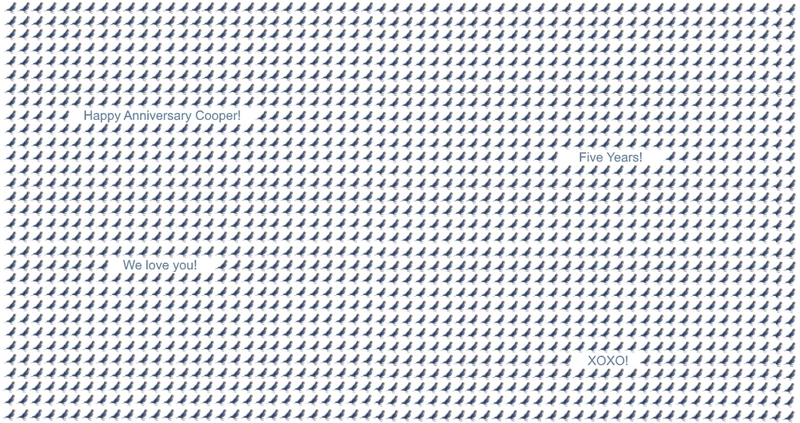 Cooper and the flock want to thank all their friends who come by the blog or check facebook to see what they’re up to. Here’s to another 5 years. Or more! Posted on November 14, 2016 by Michelle M.
Three years ago, today, we brought little Emmy home. 11/14/13 11/14/14 11/14/15 Today Emmy is our sweet baby. She still takes the occasional snooze on the bottom of the cage (bum in the air), and she likes to hang out on the bridge or on one of the new platforms. Her favorite place to be, though, is Sido’s cage. When Sido is out, Emmy makes herself right at home. Emmy is a good eater and does a great job with her mash. 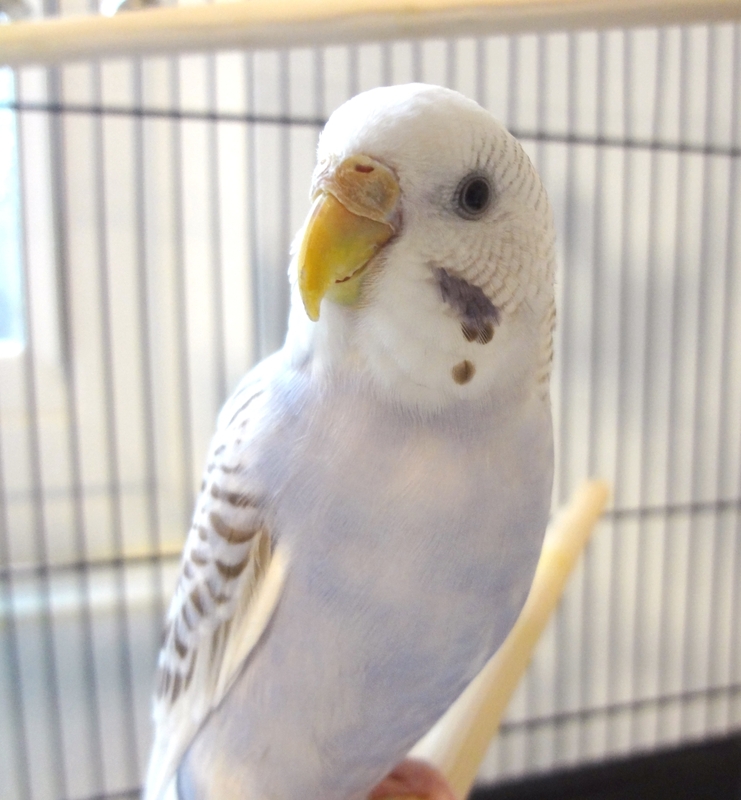 She’s very messy and gets it all over her face – good thing she loves to take baths. 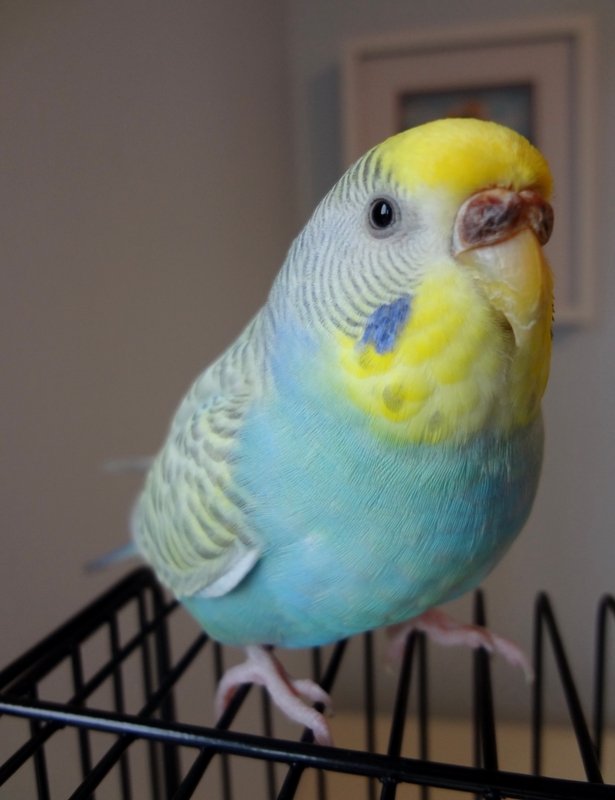 She, Sunny and Ozzie are still our “Three’s Company” trio. Emmy also likes to run around on the floor with Alfie (looking for stray seeds). Emmy has come such a long way from when she first moved in. I thought I would never see the day when she would step up. But she is a pro now, and even accepts kisses. Her whipped cream belly is my favorite place to plant a smooch on her. 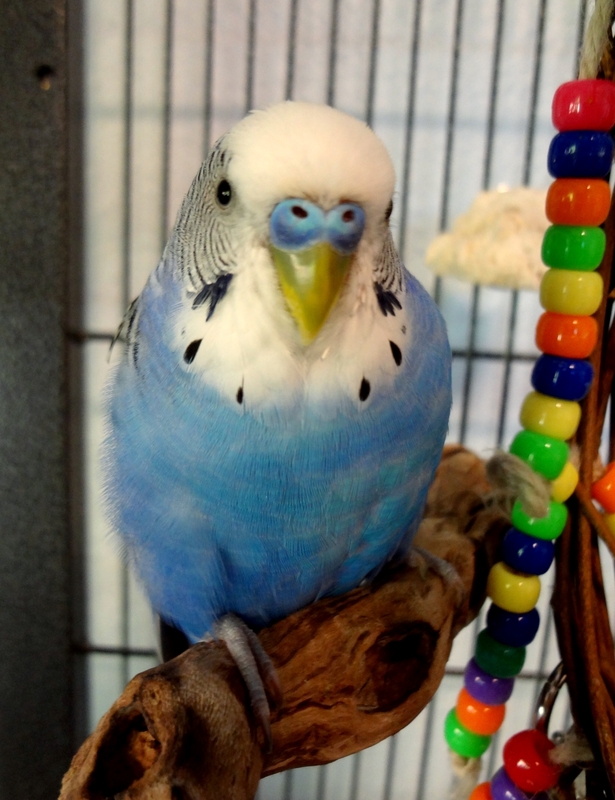 We couldn’t ask for a more adorable budgie. Happy anniversary Emmy, we love you! Posted on October 3, 2016 by Michelle M.
3 years ago, today, we brought home our little Ozzie from the animal shelter (the poor pookie had been found on a lawn after being attacked by a cat). 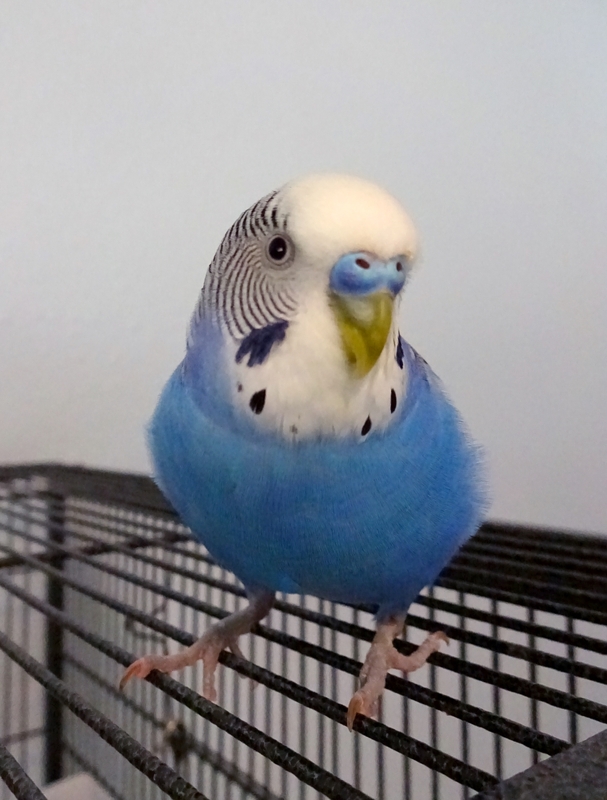 2013 2014 2015 Today Ozzie is a “best all around budgie”. He’s friend to all. 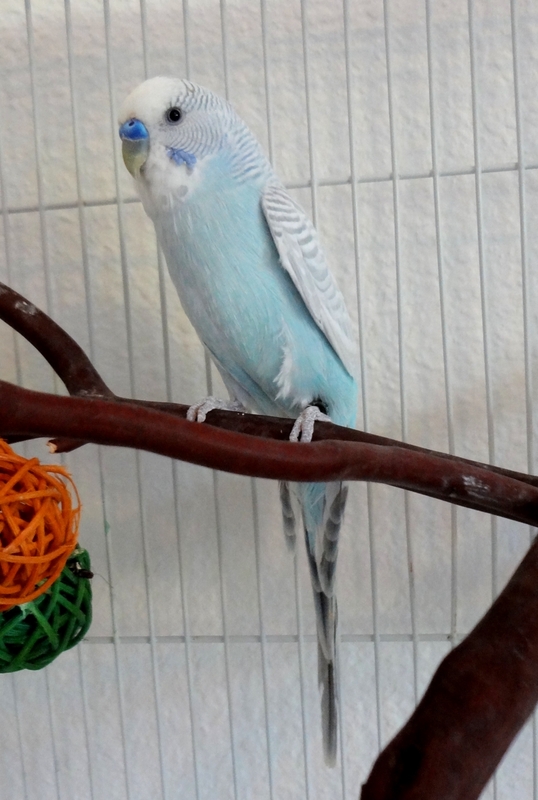 I love how he chirps, chatters and answers me when I talk to him. He’s such a love, I could eat him up (but I won’t). 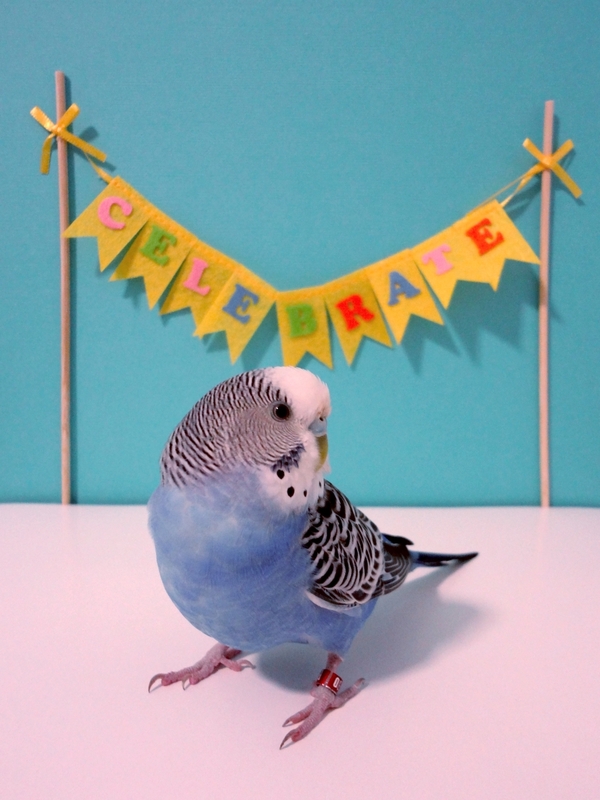 Happy anniversary Ozziebozzie – we love you! Posted on August 19, 2016 by Michelle M.
Five years ago, today, we brought home our little Cooperboop. 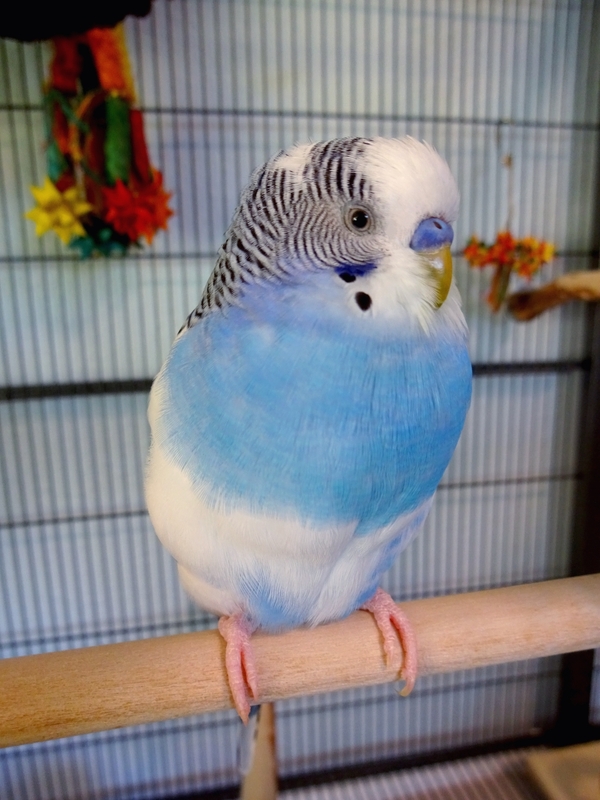 Who knew a such a tiny budgie could bring so much joy and love? Posted on July 2, 2016 by Michelle M.
Three years ago, today, I brought home a cardboard box from the animal shelter. 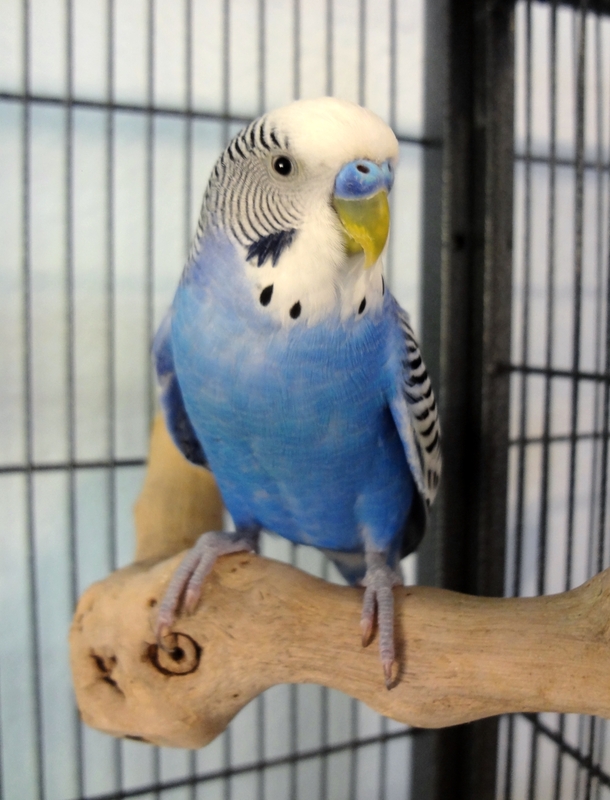 I had no idea what the budgie inside looked like – he was in a back room of the shelter and I took him home sight unseen. Imagine how thrilled I was when I saw this cute little fellow inside. (7/2/13) (7/2/14) (7/2/15) (today) Alfie is our little clown. 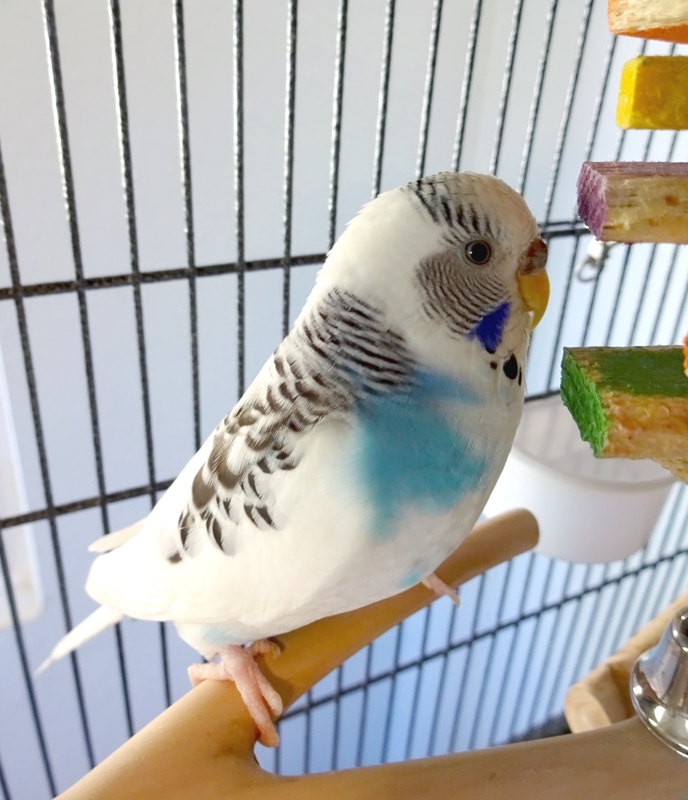 He loves food (lettuce is still a favorite) and is usually the last one to finish eating He doesn’t have a girlfriend (I can’t imagine why none of the girls have gone for him), so he makes do with his bell. 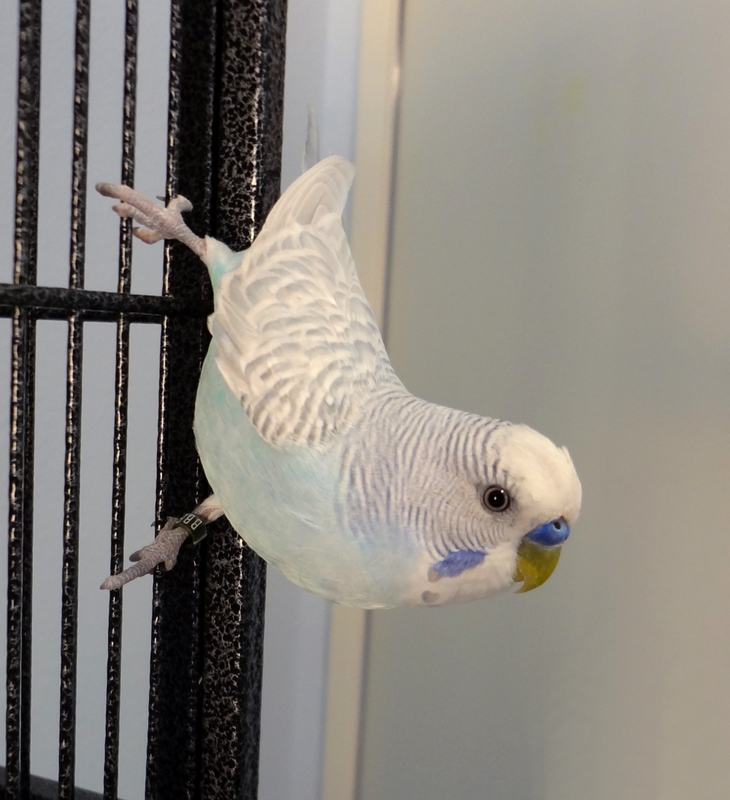 He likes to run around on the floor (probably looking for stray seeds), but is a very good flier. 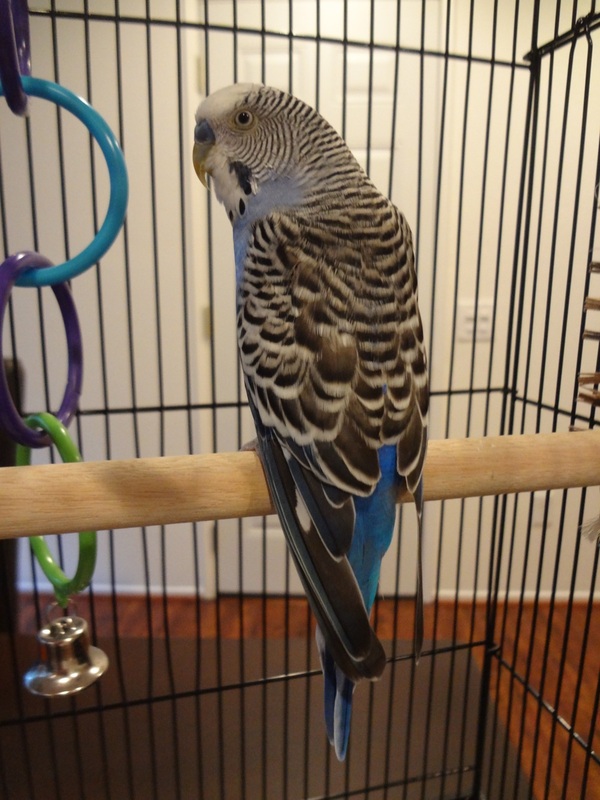 He is very chatty, and has long, intense conversations with the bird in the mirror, toys or even the wall. I think his favorite thing to do is bathe. 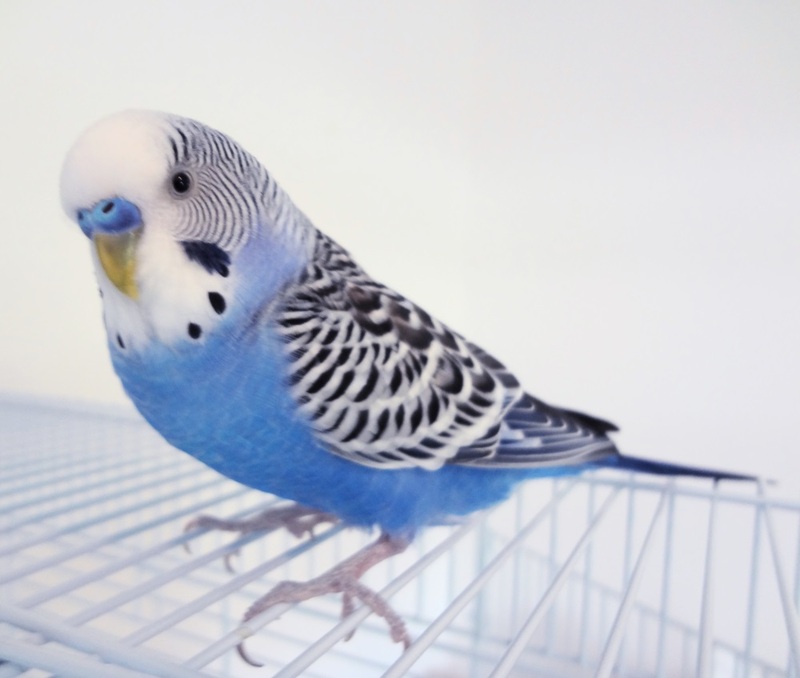 This little guy loves a good bath – complete with spritzing. You can always count on Alfie to put a smile on your face. Happy anniversary Alfie – we love you! 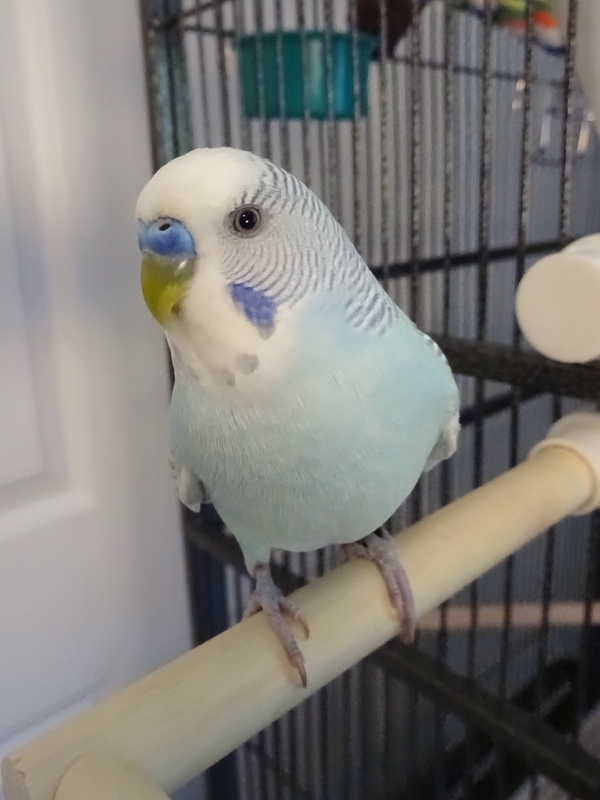 Posted on June 24, 2016 by Michelle M.
Two years ago, we brought home a pale blue budgie (we found him on Craigslist). (2014) (2015) (today) Felix is such a handsome boy. He adores Lera and is her little shadow. He still makes time to mate with Cooper, though -he’s definitely a ladies’ man. Felix still nips on occasion, but he’s more accepting of kisses. 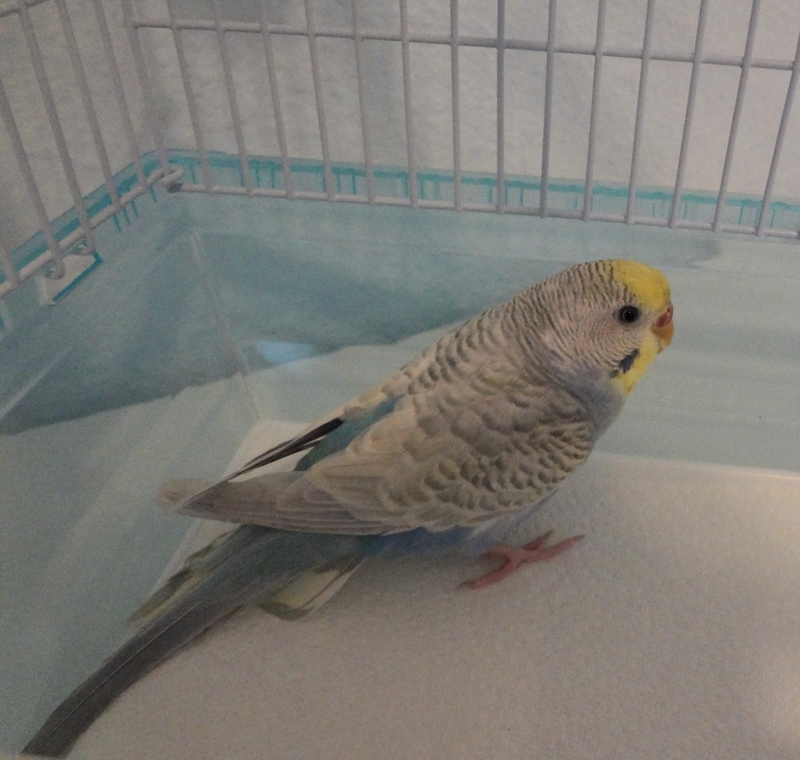 He loves bath time and the spritzer, and is usually the first one out of the cage when the door opens. 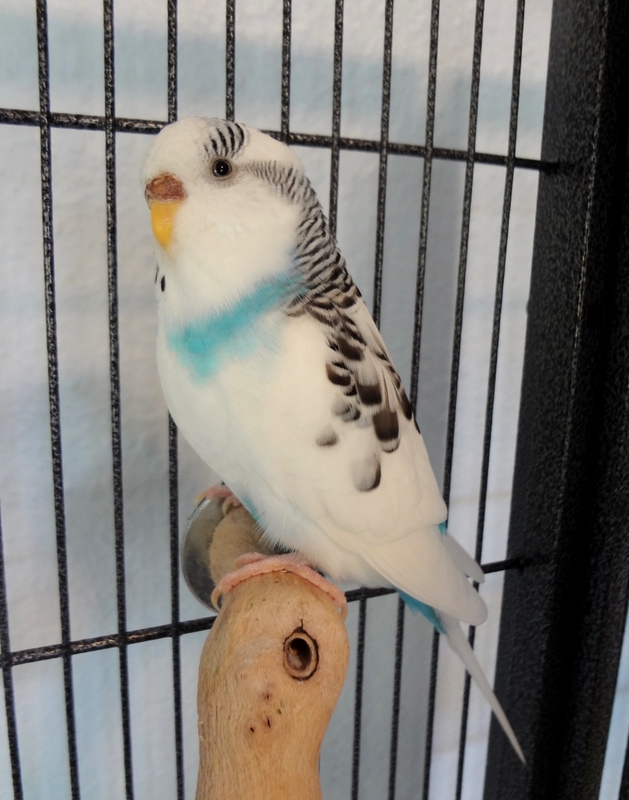 He’s a good budgie (aside from the occasional sparring with Ozzie) and we love him. Happy anniversary Felix! Posted on January 25, 2016 by Michelle M.
Three years ago, we brought home this little lemon head. She was for sale on craigslist. 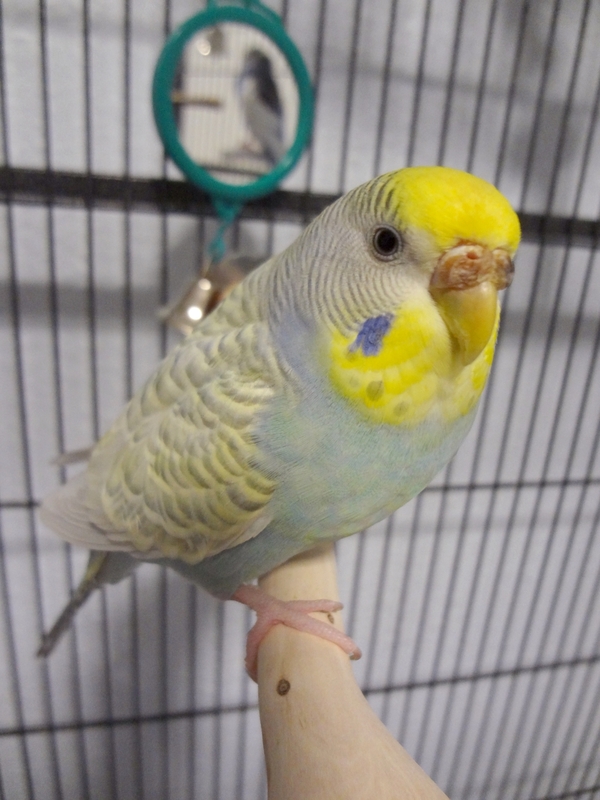 2013 2014 2015 2016 Sunny went from a frightened little bird to a sweet, curious budgie. She is crazy about baths, paper towel tubes and exploring little hidey holes. Her current favorite activity is crawling in and under the bird cage cover (when it’s crumpled on a table). Ozzie is her partner in crime and friend with “benefits”. Every once in awhile I’ll find that the bird on my shoulder is Sunny. 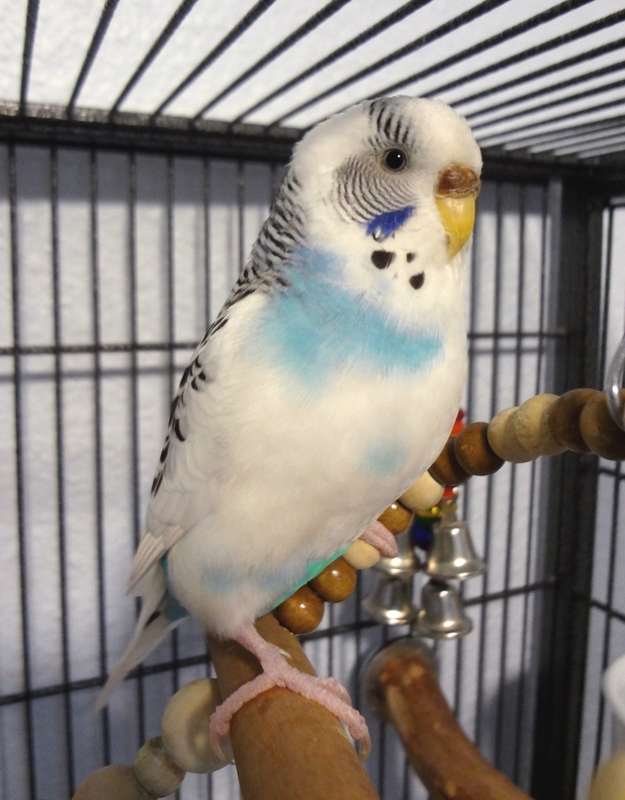 She is a shining example that you should never give up on finger taming your budgie. It may takes months (and months and months. And months. 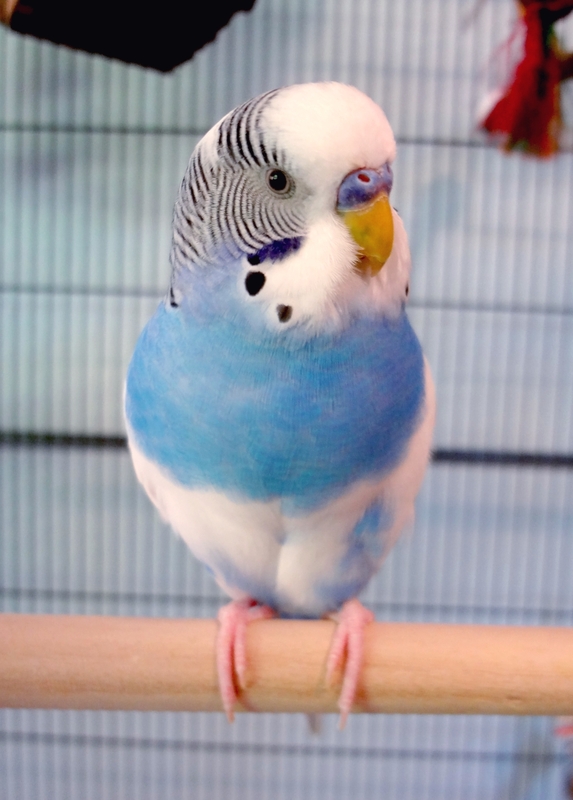 ), especially if you are working with a rehomed or rescue budgie. 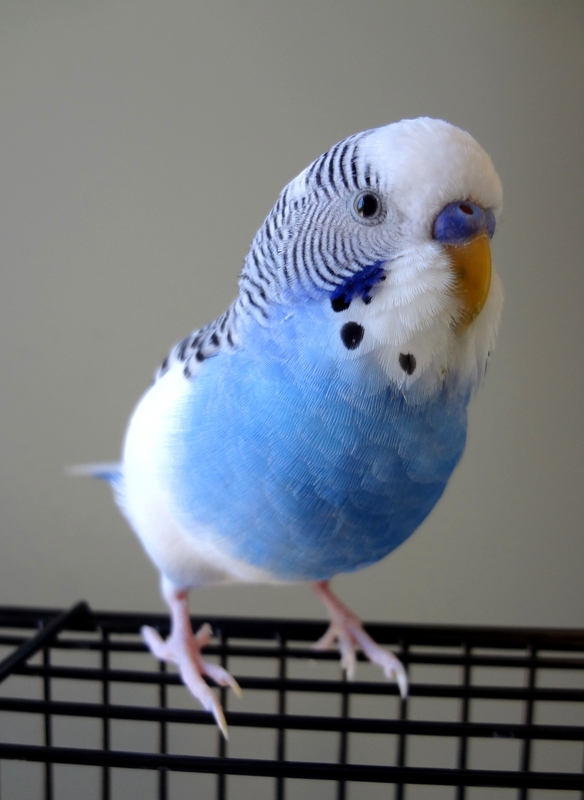 But there is no feeling quite like winning over the trust of a budgie. Especially when he or she is as wonderful as out little Sunnerbunners. Happy anniversary Sunny- we love you! Posted on January 23, 2016 by Michelle M.
Two years ago, we brought home little Lera. 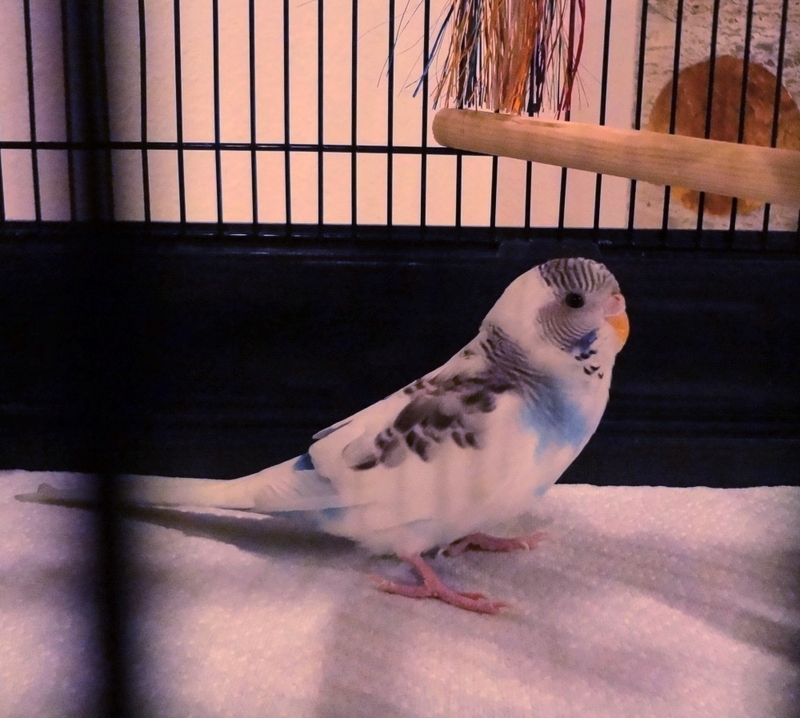 2014 She’s the tiniest of the flock, but no one messes with Lera. 2015 Lera had a rough 2015. She’s been to the vet a few times. Once for a scary bulge (it turned out to be fluid). Her beak overgrows, so she needs the occasional trim. Her symptoms seem to indicate liver problems. So she gets lots of veggies and gets two drops of milk thistle (non-alcoholic, of course) a day. 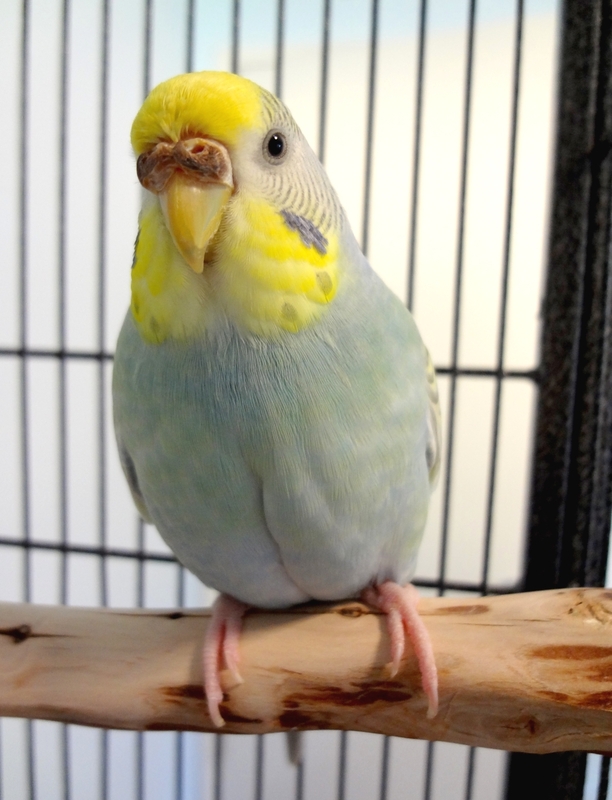 Lera is a miracle budgie. She’s a fighter and always bounces back. Keep it up Lera! 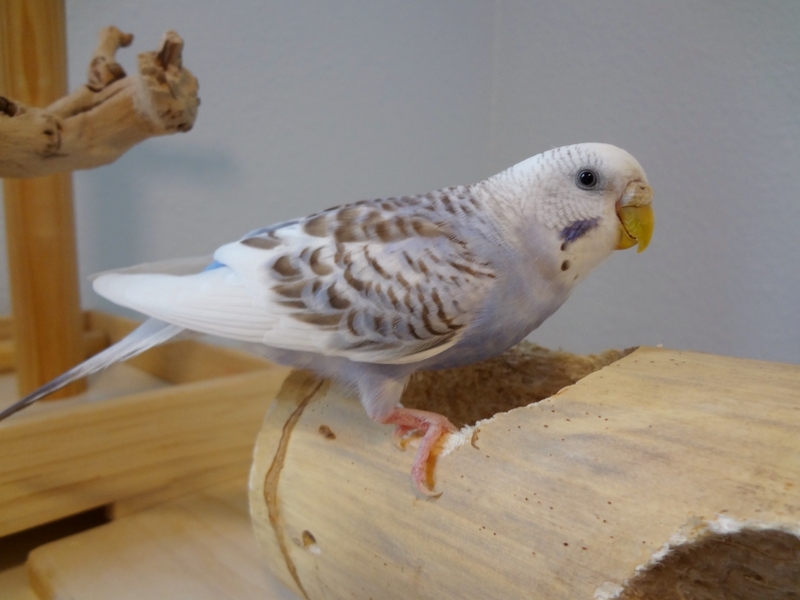 2016 Lera loves to hang out in Sido’s food bowl and chew on anything (got to work that beak). She is obsessed with the container I keep the bird covers in. She doesn’t like baths (she did at one time), but will sometimes take a dip in the water bowls. She spends a lot of time fending of the advances of Felix (who is her shadow), but she will let him feed her. Only Harvey is allowed to groom her. Lera is our scrappy little spitfire. We adore her. Happy anniversary Lera – we love you! 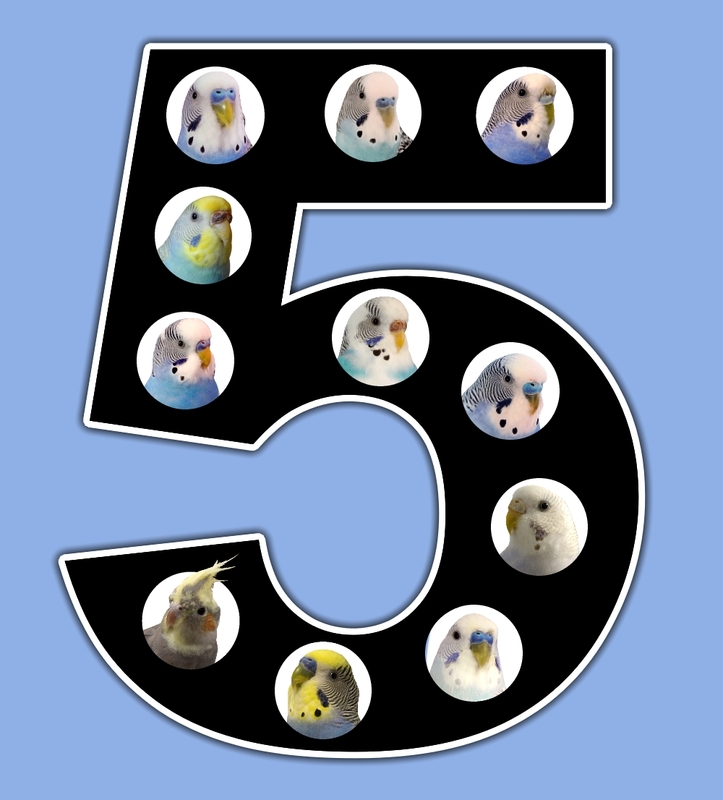 Posted on November 28, 2015 by Michelle M.
Cooper’s Corner is Four! 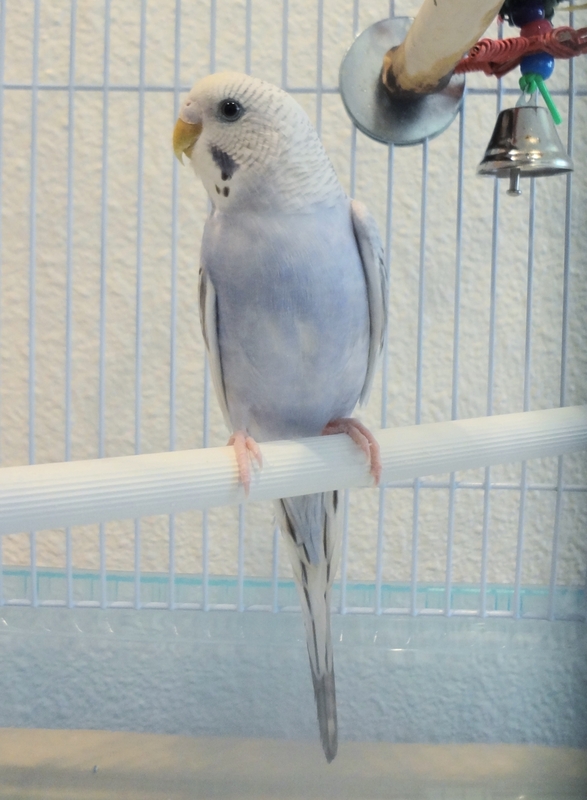 Cooper wants to thank everyone who stops by to see what she and the flock are up to. XOX! Jan and Puck on April!